This technique was so much fun to learn and make. I’ll definitely be making it again. As recommended by both Tatsiana and Amy, the recipe needed to have about 45% hard oils and 55% soft oils, with about 10% of the soft oils being castor oil. Castor oil seems to help the soap be more pliable. You’ll see in the video below that I used Tatsiana’s technique for the rim (making a complete slab and then slicing off the soap to make the rim). I did not put my slab of soap in the oven, but I did cover it with a blanket and left it in a warm room overnight. Thankfully, it did completely gel. After I unmolded it and let it sit for a few hours, I was able to cut and roll it fairly easily. You’ll also see in the video the tool I used for slicing the soap. Tatsiana showed us how to use cork, guitar wire, and washers to make a fantastic flexible knife. It worked perfectly. The inside of the soap was made using one of my regular soap recipes and scented with a custom blend of floral essential oils. This blend caused the center of the soap to turn a cream color (you’ll see this in the video). After about 2 days, the center lightened considerably, and I was able to take the photos you see in this post. I made a video of my entire process and edited it down to about 7 minutes. You can see it here or on my YouTube channel. Simple, clean and very elegantly done. Love it! So beautiful! And you made it look so easy too!! Thank you so much, Sly! Another beautiful soap! I love it’s simplicity. Very elegant! Beautiful work Holly! Your soap is beautiful. Very elegant and classy. I love the the charcoal and clay idea and your fragrance sounds beautiful too. So gorgeous. I bet you will sell out quickly on these and they will be in demand by your customers. Love these, Holly! Beautiful and so well executed! Absolutely beautiful Holly! Perfectly perfect. Stunning, incredibly clean execution and perfect photography — definitely a winning combination! Thank you so much, Amy! I wasn’t very confident I could do this, but the tutorial you and Tatsiana provided helped me through every single step. It was so much fun to make! Stunning. Love the black and white. Your video makes it look so easy. Love the black! Very pretty! So exquisitely beautiful, Holly! I absolutely love the powerful design you achieved from these classic colors. So incredibly well done! 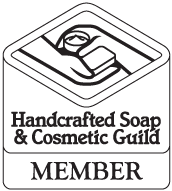 Your soap is always perfect! Oh my goodness, so beautiful!! Thank you very much. Congratulations)) I’m very happy for you, Holly! Enjoy, You deserve! Thank you so much, Anastasia! Congratulations to you, too! Your soaps are beautiful and I can’t thank you enough for taking your time in including your how-to videos. You are a professor of soapmaking. Where do you purchase the supplies used for your molds and wire soap cutter? I purchased the wood molds and cutter on Etsy. The cutter is from Bud Haffner (https://www.etsy.com/shop/budhaffner) and the wood molds are from Kiwi & Company (https://www.etsy.com/shop/KiwiCompany).